UPF's seminars and leadership conferences focus on the urgent need for new vision and leadership based on core values and universal principles of peacebuilding. UPF and its global network of Ambassadors for Peace bring universal, spiritual principles to the tasks of resolving conflict and reconciling the divided human family. 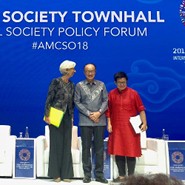 Speakers share insights from their backgrounds in governance, diplomacy, academia, religion and civil society. Bali Province, Indonesia—UPF took part in an international program on faith-based involvement in early-childhood development. 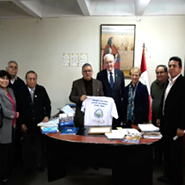 Lima, Peru—In July, representatives of UPF-Peru visited two schools where they spoke about UPF’s work for peace. 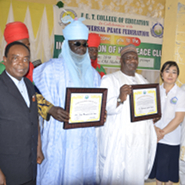 Abuja, Nigeria—Over 250 persons, including faculty, staff, and students, attended the formal inauguration of the Peace Club at the Federal Capital Territory College of Education. Kuala Lumpur, Malaysia—Edufly College in Malaysia has donated scholarships to UPF-Malaysia’s scholarship project, which will benefit 300 students. 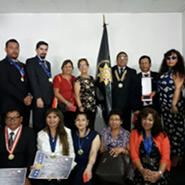 Lima, Peru—The work of UPF in Peru was recognized at a seminar organized by several international institutions. Negeri Sembilan, Malaysia—Students from Korea volunteered, led an educational program at a school, and visited religious sites during a two-week leadership project in Malaysia.